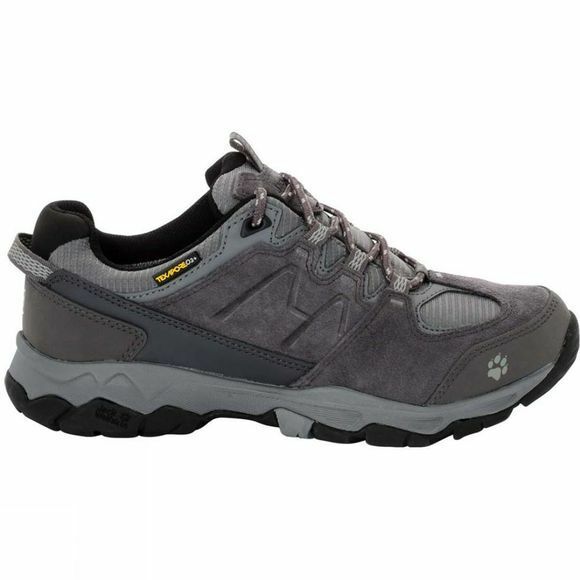 Up and down hills, on narrow paths and rocky trails, come rain or shine–The Mountain Attack 6 Texapore Shoe from Jack Wolfskin is a waterproof and versatile day hiking shoe that has been doing the job for years. It has a comfortable fit straight out of the box. And it stays that way, even after racking up lots of miles. When your adventure takes you off-trail, the clever mix of suede leather, fabric and waterproof Texapore O2+ protects your feet and prevents them from getting wet. The special hiking sole delivers good traction on all types of terrain.